Military-style production ready to rock your gun's world. 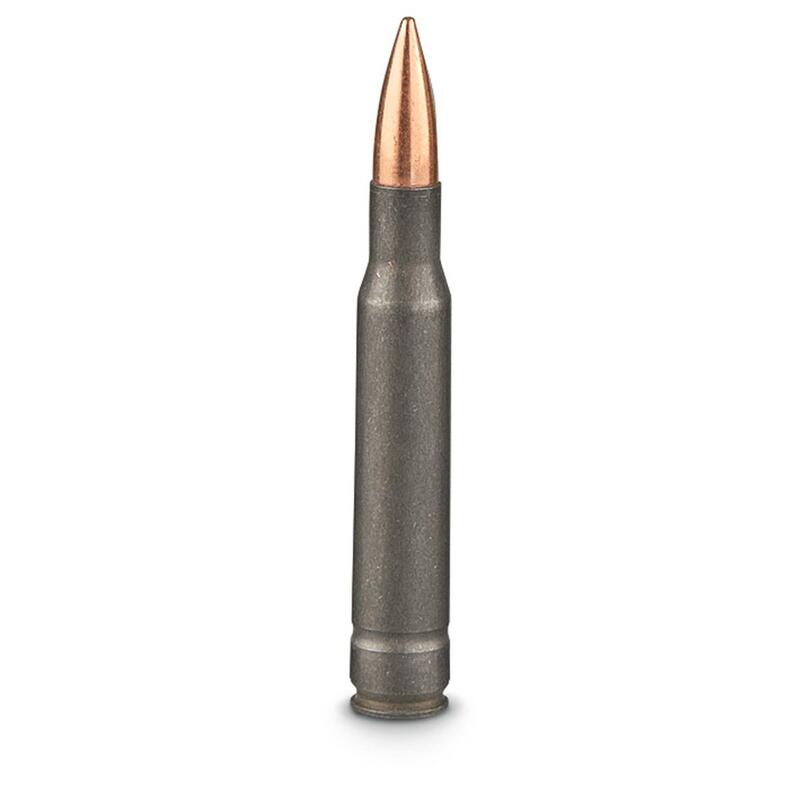 Wolf, .30-06, FMJ, 145 Grain, 100 Rounds is rated 4.5 out of 5 by 19. Rated 5 out of 5 by cdp65 from good price Shoots well in my '03, what more could you ask for. Rated 4 out of 5 by 3006er from Good price and availability Fired 60 rounds this morning, from my savage axis. worked perfect! 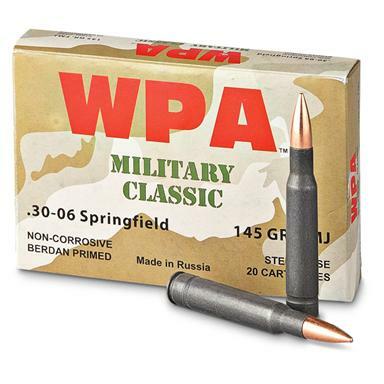 Rated 5 out of 5 by oldcorps76 from Great price, ammo works great. Fired in my DCM M1 Garand. Used a Schuster gas regulator to ensure minimum battering to my rifle. Properly adjusted, this ammo worked flawlessly and was very accurate. Noted primers slightly flattened so I am guessing fairly high pressure. I do recommend a gas regulator if you're going to shoot in an M1; otherwise, buy and shoot away - a great bargain! Rated 1 out of 5 by jjconstr from almost no weight retention shot into sand at forty yards. nothing left but thin jacket. i mean no core left! dirty too. Rated 5 out of 5 by ALLFINN50 from PRICE WAITING FOR WEATHER TO WARM UP. Rated 5 out of 5 by ROGER from Good price. received on time.